While working on a documentary about fringe religions, Alex Mar found herself drawn to paganism and witchcraft, and now she's written a book! Witches of America is a memoir-slash-ethnography; it explores modern-day paganism through Mar's firsthand experience—participating in rituals, attending conventions, and even training in a specific pagan tradition. I found Mar's experience and research absolutely fascinating; her exploration of faith and religion will engage and inform all readers. 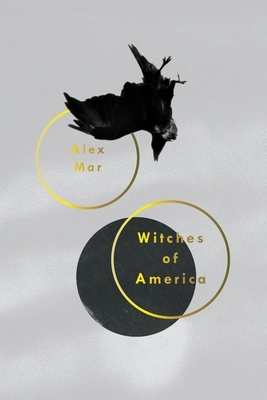 Witches of America is a memoir of Alex Mar’s immersive five-year trip into the occult, as both a journalist and someone searching for her own faith. She explores modern Paganism—from its roots in 1950s England to its present-day American mecca in the San Francisco Bay Area; from a gathering of more than a thousand witches in the Illinois woods to the New Orleans branch of one of the world’s most influential magical societies—and decides to train in a coven herself. With keen intelligence and wit, Mar illuminates the world of witchcraft while grappling in fresh and unexpected ways with the question underlying every faith: Why do we choose to believe in anything at all? Whether evangelical Christian, Pagan priestess, or atheist, each of us craves a system of meaning to give structure to our lives. Sometimes we just find it in unexpected places. Alex Mar was born and lives in New York City. She has contributed to the Believer, the Oxford American, Elle, the New York Times Book Review, Slate, New York Magazine, and other publications. She is the director of the documentary feature American Mystic and the author of Witches of America.